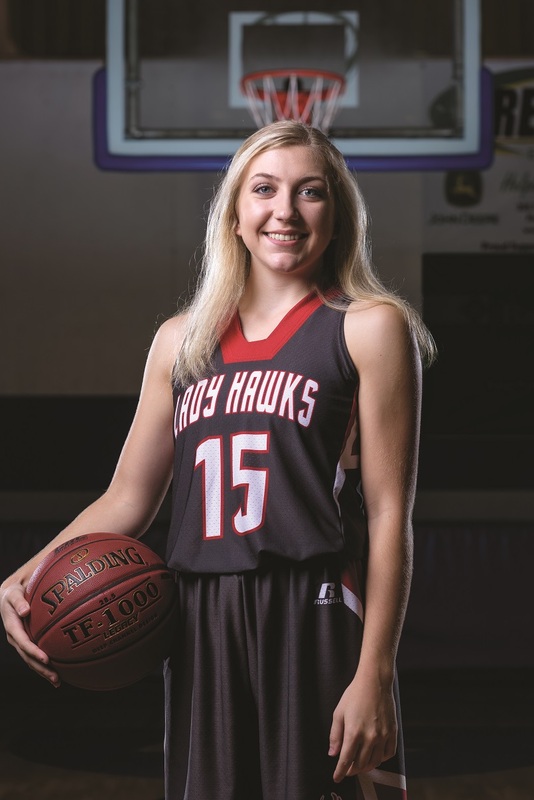 After a challenging junior season, Morgan Smith and the Nemo Vista Lady Red Hawks are enjoying the benefits of perseverance. “Morgan led this team last year as the only upperclassmen on the team,” said Kyle Payne, Nemo Vista’s girls’ basketball coach. “She ended up being the only junior who was keeping a team full of sophomores held together. She averaged over 10 points a game even though she was being double teamed most nights. She even went for 30-plus a couple games. Fighting through a tough 2017-18 season and growing as a team has paid off this season. The Lady Hawks have improved with a 10-12 (7-4 2A 5 North) record heading into the final stretch of conference play. Smith, a senior guard for Nemo Vista, was selected to this year’s 501 Basketball Team — 34 players representing the best the 501 has to offer both on and off the court. The team is sponsored by Conway Ortho and Sports Medicine Center, Conway Regional Health System and First Security Bank. Smith was nominated by Payne. She is a two-time honoree. Smith has overcome two wrist surgeries during her high school career, which forced her to “start over” both times and re-learn how to shoot. After basketball wraps up in the next few months, Smith will soon find herself lacing up for softball and track. Through it all, she makes sure she gives priority to her studies. Smith and the Lady Hawks play at Quitman at 5:30 p.m. Thursday.